Fortifies the function of the skin barrier. 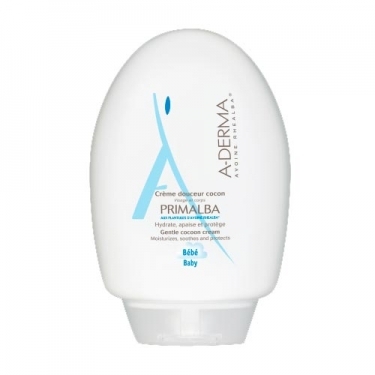 DESCRIPTION: Primalba Gentle Cocoon Cream from A-Derma is a daily moisturizer for babies. With rhealba oat extract that softens and soothes irritated skin. With glycerin it helps to keep the skin hydrated. With liquid crystal emulsifier that allows a long lasting hydration, leaving the skin soft. Its soft texture adapted to the massage leaves the skin soft. Gently scented and without parabens. Apply and massage gently on clean and dry skin.